When most people ask themselves this question, it is not a rhetorical one; they know why. The failure to resist eating a large meal every night before bedtime or an addiction to fast food causes obesity in many people. But what about those of us who consume about 1500 calories a day and who spend 3 days or more a week in the gym engaging in 45 minutes of cardio before some strength training? According to common sense science, those people should be losing weight. But the truth of the matter is that not all of us are. If you have visited Lapbanddallas.com and considered the option of having the Lap-Band procedure, you are not alone. Although diet and exercise is all that is needed for most people, it is not the best option for others. Why won’t a diet work? Without having any noticeable symptoms (as perceived by those inflicted), many people have internal medical conditions that interfere with the body’s ability to burn calories and shed fat. These can range from metabolic and hormonal problems, as well as cellular interference issues. Only a physician can diagnose these conditions, and if you have one or more, this would explain why diet and exercise doesn’t give you the same results that your friends get. Is the Lap-Band procedure safe? Any surgical procedure comes with risks, even having wisdom teeth removed. 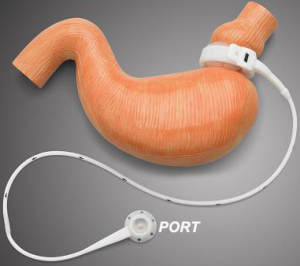 However, as far as weight loss surgeries go, the Lap-Band procedure is the least invasive of the surgical options, and 99 percent of patients go home the same day of the procedure and return to work 3 days later. You will want to find a surgeon who does the procedure laparoscopically—a technique in which the physician uses cameras and instruments to offer superior visibility and access for precise tiny cuts in the tissue. This method makes the surgery go faster, offers quicker recovery time, limits risk for infection, causes minimal scaring and patients experience much less pain (some none at all). If you find a surgeon who only performs “open surgery”, it is advisable that you keep looking elsewhere to find a doctor who uses the modern and safer method. When people have any type of weight loss surgery they are placed on a special diet designed by the physician and his team. Although some diets differ, they all have various eating stages that one must graduate through. For the first week or two the patient is put on a high-protein based liquid diet. Then they graduate to soft foods like purees, and eventually will be eating normal solids. There are some great products on the market that offer high levels of protein in liquid form. Of course you will want your physician to approve any supplement before taking it, as some may contain sugar or other ingredients that should be avoided. Nutrition shops like GNC are great places to look for products, as body builders will use high-protein sugar-free liquids in their workouts. But again, run everything you consider taking past your doctor. If you have been following diets with no success, there is a reason. Once a physician can identify that reason, a cure can be revealed. Your first step is to book a consultation with a surgeon, and discover what your options are to ensure a healthier you for the future.